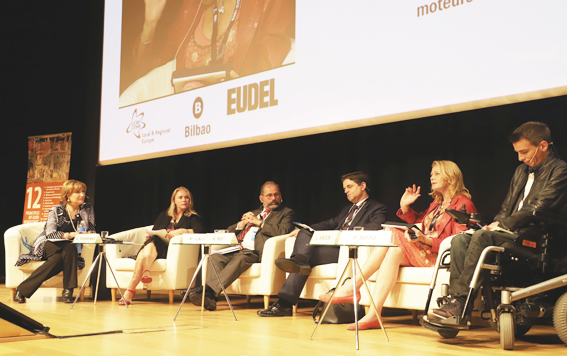 The CEMR Conference on Equality, Diversity and Inclusion took place in Bilbao from June 11 to 13. Under the motto “Differences unite us!”, different stakeholders took part, together with local and regional Governments from over the World in sessions which allowed for enhancing the conversations on creating a better society with equality for all. 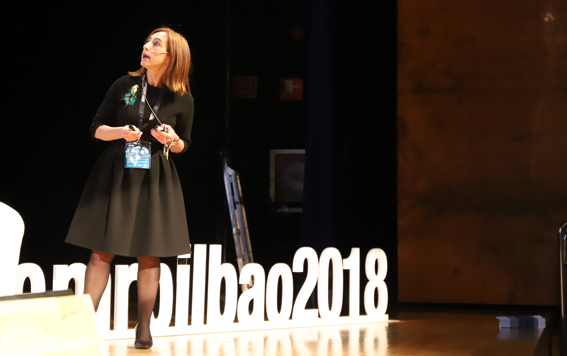 UCLG Women seized the moment to get involved with the #becounted campaign, together with the CCRE-CEMR (the European Section) and the City of Bilbao, and keep working towards ensuring that the women that take part in the global decision-making process are counted. Juan María Aburto, Mayor of Bilbao, gave an inspiring welcome to the participants of the plenary session, highlighting the importance of witnessing how “differences enrich us and make us stronger, which is why this conference needs to be a platform to create new opportunities and leave no-one behind”. Knowing that, in the European Union only 28% of Mayors are Women, according to journalist Vanessa Sánchez, the presence of elected women was very important and had a great impact throughout the 3 days of the conference, in which renowned personalities such as Nobel Prize Winner Rigoberta Menchú reminded everyone of the role local governments play, as missionaries of social transformation, since it is at local and regional level where we can listen to citizens and raise our voices to defend human rights. “Local governments are elected to transform their municipalities. I am a municipalist wherever I go, since people live in municipalities, and it is there where they develop their daily lives and, most of all, their hope to continue building“. Rigoberta Menchú, Nobel Peace Prize Winner. She also reminded everyone of how valuable women’s participation is in order to carry out this transformative Action, as well as the importance of having, beyond a strategy and specific policies, legislation to defend and legitimize women in decision-making positions. 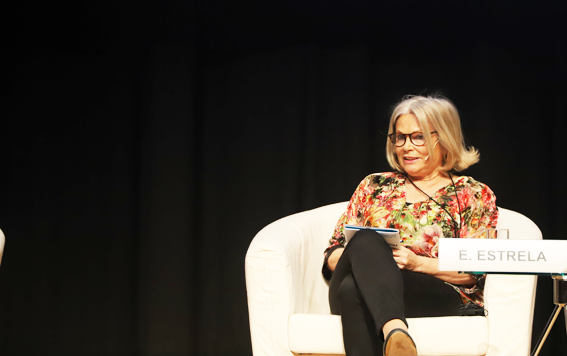 A session on participation, politics and power, whose key axis was gender equality as a precondition for sustainable development, took place on June 12. During the first part of the session, Malika Ghefrane Giorgi, Special Technical Advisor for REFELA, shared ideas on how fundamental it is to educate women and enable them to Access decision-making positions, and positions of power in general. This has been, for REFELA, the pillar from which to start developing African women’s political leadership. She introduced the idea of gathering five great African women leaders together with five great European women leaders in order to develop a Draft Charter – African Union-European Union about the need to include women’s empowerment in education. "These kinds of projects already exist. Let us join and structure ourselves to develop a joint strategy and move forward, together” - Malika Ghefrane Giorgi, Special Technical Advisor for REFELA. 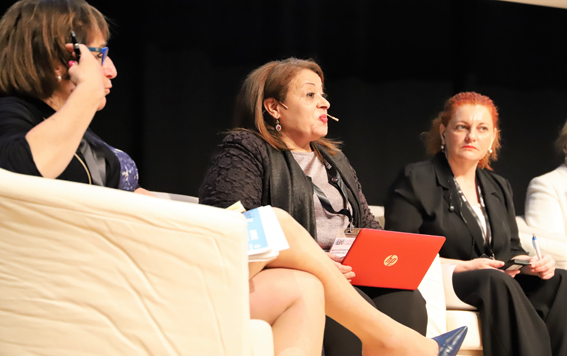 Begoña Lasagabaster, UN Women Chief of Leadership and Governance Section, highlighted the importance of counting the number of women in decision-making positions at the local level, since there isn’t a clear methodology or accounting system for women who are participating. She also reminded that the first step is to provide a clarification at the worldwide level on how we define “local level” and about what we understand by “position of power”, since decision-making at the local level can take many shapes and forms. “The #becounted campaign began, once we understood what local women’s empowerment meant, in order to be able to map and assess the role of women who participate in local politics, and who take decisions of a high political level” Begoña Lasagabaster, UN Women Chief of Leadership and Governance Section. Since what isn’t counted doesn’t exist, it is necessary for women’s participation to be acknowledged and valued. Wherever there are women involved, the issues of living conditions are taken more into consideration, more agreements are negotiated and more conflicts are solved. Promoting an open Government to boost active citizenship in order to localize the Sustainable Development Goals (SDGs) in general and SDG 5 in particular, was also a key issue touched upon by UCLG during this event. Emilia Saiz, UCLG Secretary General, moderated this session on open governance and gave a presentation on the recently created Community of Practice on Transparency and Open Government, that tries to reinforce a more direct participation of citizens, as well as the ways in which these citizens interact with digital tools in order to foster transparency and open data. This situation is key for achieving equality between citizens and consolidating commitments with the civil society. Luzette Kroon, mayor of Waterland, stated that in her city there is a “4th generation of citizens involved with participation, growing more and more committed each day. Citizens take part in local development decisions and it is them who propose the initiatives that the city supports and implement”. If women want to be able to participate in building their own future, they need to have the right space to do so inside those participatory mechanisms. In representation of the IOPD, Ricardo Rio, mayor of Braga, presented the International Observatory on Participatory Democracy (IOPD) that recognizes all sorts of participatory initiatives, which will be shared this year in its Conference in Barcelona from November 25-27. There was also a chance to reaffirm the need for men and women mayors to “implement devices that allow to social institutions, civil society, businesses, Academia, women’s associations and youth to come together in order to create a shared vision of the future we want”. Finally, on the 13th of June the conclusions on what participants had learned on equality between men and women as a means to achieve Sustainable Development Goal 5, and achieving the challenges of the 2030 Agenda were shared. Emil Broberg, vice-president of the Standing Committee on Gender Equality for the Local Life of CEMR, closed the conference stating “the need to include men in the struggle for gender equality. Gender equality is as important to men as it is to women. Together, we can achieve so much more”, an idea shared by the President of that same Committee, and mayor of Galdakao, Ibon Uribe, who stated that “neutral policies do not exist. There are no actions or decisions that do not affect one gender or the other and, thus, everybody needs to be involved”. Along those lines, in the words of Edité Estrela, current president of the Committee on Culture, Communication, Youth and Sport of the Assembly of the Republic of Portugal and the woman who has contributed the most to the creation of the European Charter on Equality, “we need many more women in decision-making positions, in both economic and political power in order to improve the lives of men and women in our territories”. Time has come for the international community to build a more sustainable society making women more visible through participation, culture, and educations, but also through a more transparent and sustainable governance since, when women enter politics, taking part in building the societies of the future, we towards more equality, diversity and social inclusion. Visit the dedicated CEMR Conference 2018 website. Visit the dedicated #becounted campaign website. Visit the UCLG Women's Youtube channel.